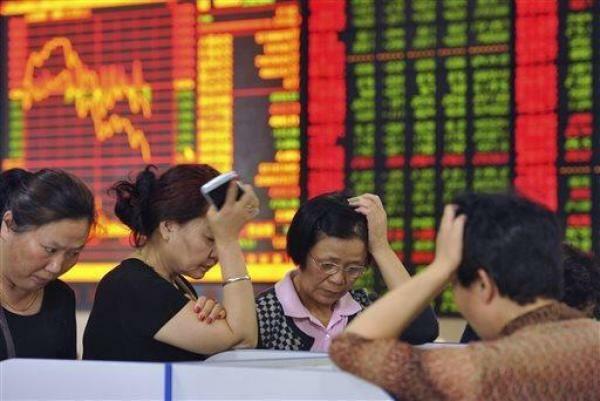 In the latest shock to Chinese confidence, overnight Chinese shares extended the world’s worst slump as the yuan touched its weakest level in almost two years, testing the government’s ability to maintain market stability and calm as risks continued to mount for Asia’s largest economy. 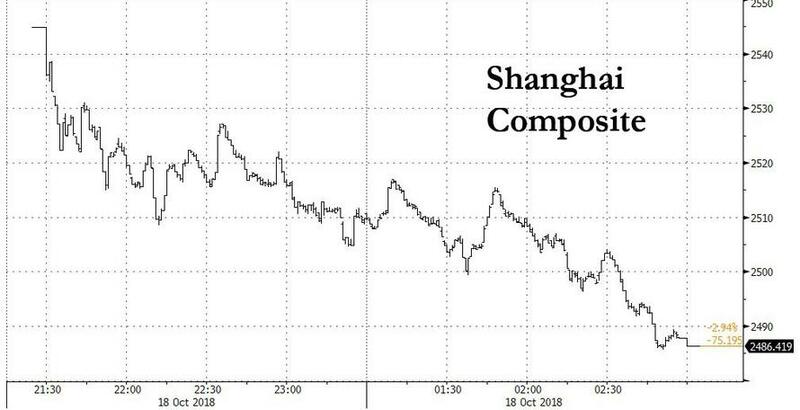 Two days after we reported that concerns about pledged shares, in which major investors put up stock as collateral for personal loans - a disastrous practice when stock prices are dropping - emerged as a key pressure point for China's market, overnight Bloomberg confirmed that "rising fears of widespread margin calls fueled a 3 percent tumble in the Shanghai Composite Index, which sank to a nearly four-year low as more than 13 stocks fell for each that rose." 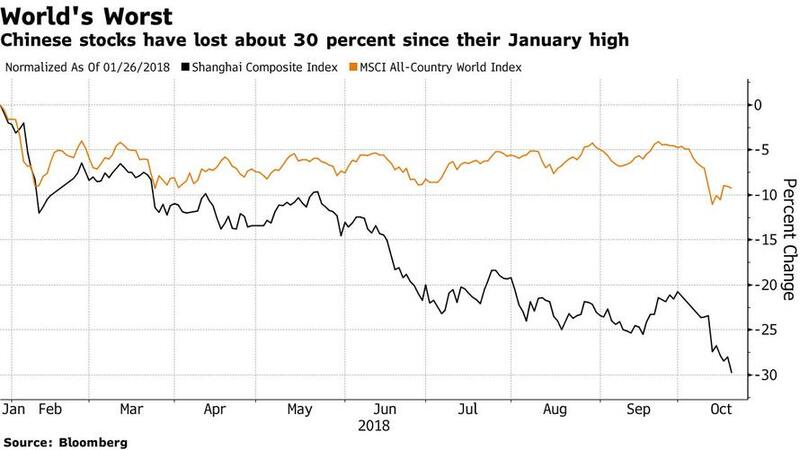 Chinese stocks have dropped 30% below their January highs, as the spread between China's market and the rest of the world grows alarmingly wide. Meanwhile local government efforts to shore up confidence in smaller companies failed to boost sentiment, while the yuan tumbled to 6.94, just shy of its one and a half year low of 6.9587 touched in August, after the U.S. Treasury Department stopped short of declaring China a currency manipulator, a move that some interpreted as giving Beijing breathing room to allow a weaker exchange rate. Even with its housing and auto sector spiraling lower in recent months, crushing consumer confidence and leading to sporadic protests against declining real estate prices, Beijing has so far refrained from major market rescue efforts of the kind observed after China's 2015 equity crash, but some investors are calling for bolder action. The fear is that if Beijing does nothing, the self-reinforcing liquidation is only set to get worse: with $603 billion of shares pledged as collateral for loans - or 11% of China’s market capitalization, - traders are increasingly concerned that forced sellers will tip the market into a downward spiral. China in June told brokerages to seek approval before selling large chunks of stock that have been pledged as collateral for loans, while the top financial regulator in August warned the industry that it’s closely watching corporate stock pledges. Neither of those warnings appears to have generated the desired outcome, and the result is that two-thirds of Shenzhen Composite stocks are now at 52-week lows or worse. 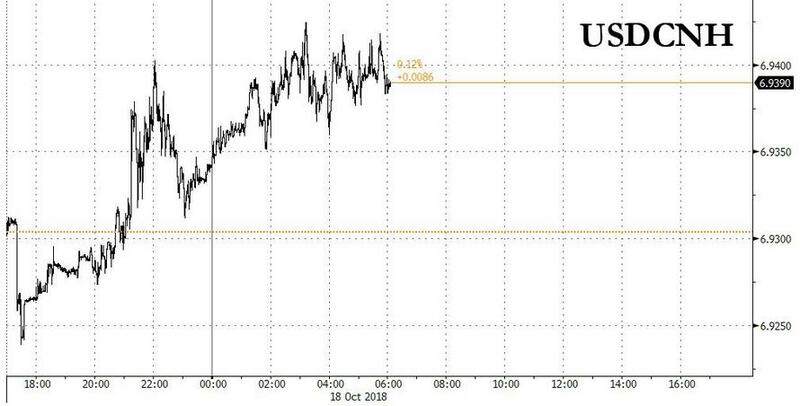 Meanwhile, Bloomberg notes that while the so-called "national team" plunge protection team has repeatedly intervened to support the market in the past, efforts recently have been led by local governments. Officials in the southern cities of Shenzhen and Shunde as well as Beijing’s Haidian district have moved to help listed firms in their areas, according to local authorities and media reports. At least 36 companies have seen pledged shares liquidated by brokerages since the start of June, according to company filings. Judging by the results, these sporadic rescue efforts leave much to be desired, especially coming in a time when the PBOC is forced to change the definition of its Total Social Financing credit aggregate to give the impression that credit growth is rising. So what are investors to do in this time of panicked selling? Why demand more bailouts of course, like begging the National Team to step in and rescue them (just like in the housing market): "If there are no real policies to cure the array of problems and ailments in our market, no one will be willing to take the risk,” said Hai. “Authorities keep saying that there is room for more polices, but where are they?" Ah, the horror: because how are "investors" expected to fare for themselves in a 'free-market' where the government does not come to their rescue every day.